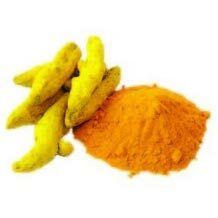 Health Benefits : Tumeric is a spice that comes from the root Curcuma longa, a member of the ginger family, Zingaberaceae. In Ayurveda (Indian traditional medicine), tumeric has been used for its medicinal properties for various indications and through different routes of administration, including topically, orally, and by inhalation. It has been used topically on the skin for wounds, blistering diseases such as pemphigus and herpes zoster, for parasitic skin infections, and for acne. It has been used via oral administration for the common cold, liver diseases, urinary tract diseases, and as a blood purifier. For chronic rhinitis and coryza, it has been used via inhalation. It has also been used in the treatment of intestinal parasites and as a remedy for poisoning, snakebites, and various other complaints. Clinically, curcumin has already been used to reduce post-operative inflammation. Safety evaluation studies indicate that turmeric and curcumin are well tolerated at a very high dose without any toxic effects. Thus, both turmeric and curcumin have the potential for the development of modern medicine for the treatment of various diseases . Turmeric is also very effective in case of diabetes. The effect of turmeric aqueous extract on blood glucose, lipid peroxidation (LPO) and the antioxidant defense system in tissues like liver, lung, kidney and brain was studied in streptozotocin induced diabetic rats. The administration of an aqueous extract of turmeric resulted in a significant reduction in blood glucose and an increase in total haemoglobin. The aqueous extract of Curcuma longa also resulted in decreased free radical formation in the tissues studied.